Petition against HPV vaccines – please consider signing this petition! The Institute for the Protection of Natural Health (Institut pour la Protection de la Santé Naturelle), based in Brussels, in conjunction with French oncologist and surgeon Professor Henri Joyeux, has launched a French petition against the HPV vaccines Gardasil and Cervarix. This petition has currently raised 359,840 signatures. Originally, the goal was to reach 500,000 signatures then submit the petition to government authorities in France. However, interest in this petition has expanded to other countries where medical professionals, scientists and medical consumers are also seriously questioning universal HPV vaccination programs. Due to so many requests from people outside France who wish to sign the petition, Professor Joyeux and the Institute for the Protection of Natural Health have agreed to open their petition to every country in the world. The petition is in French, but an English translation is available, see below. You need only fill in four boxes: Your first name, last name, postal code (or country if you do not live in France) and your email address. Please consider signing the French petition against HPV vaccines, we need to challenge questionable HPV vaccination on an international basis. 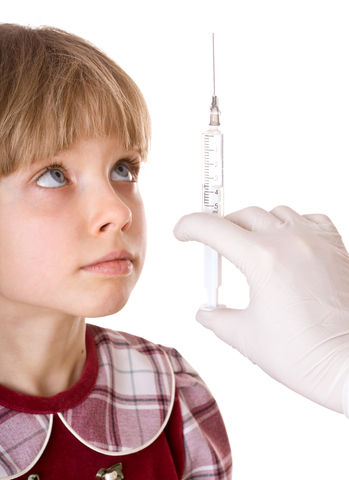 If necessary, the starting age for vaccination of both young girls and young boys would be lowered to 9. This plan has aroused very deep concern in the French people and the medical profession. There are a very large number of us who fear that our schools are being used as a front for a widespread HPV vaccination campaign targeting our children, without providing families transparent information on the effectiveness and risks of this vaccine and without allowing them to consider the pros and cons. May we remind you that the analysis of pharmacovigilance data revealed 26,675 cases of serious adverse effects connected with these vaccines, including 113 cases of multiple sclerosis. May we also remind you that the only method which has been proven to prevent cervical cancer is the Pap smear. If precancerous lesions are found, they can then be treated. The vaccine however does not confer 100% protection, far from it. All medical sources concur on this point. It is a very dangerous situation if vaccinated individuals go off thinking that they are fully protected. Until we can be assured that such widespread vaccination will not cause a drop in Pap smear screening, the only proven method of preventing cervical cancer. This is the only way to protect a large number of children from unnecessary accidents and considerable suffering. You will also be making a step towards maintaining the trust of parents and keeping necessary peace in our schools. This entry was posted in Adverse Reactions, Aluminium adjuvant, Human Papillomavirus (HPV) Vaccine, Informed consent, Vaccine industry and conflicts of interest and tagged adverse events, adverse reactions, aluminium adjuvant, Cervarix, conflicts of interest, Gardasil, GlaxoSmithKline, HPV, HPV vaccination, human papillomavirus, Ian Frazer, informed consent, Merck, over-vaccination, vaccine industry, vaccine marketing, vaccine safety on November 19, 2014 by elizabethhart.